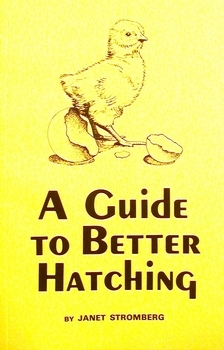 Very informative 100 page paper back which instructs on how to improve your hatching percentage in artificial or natural incubation. Covers all common species of poultry. Includes every phase of hatching from forming the egg to incubator control. A must read for everyone serious about breeding & raising their own birds.